I love a great challenge! And so, when the enternally positive, optimistic and supportive elementary school principal Vicki Day invited me to the PLN blogging challenge I accepted her call. Constantly stretching my thinking, Vicki is a frequent participant in #educoach chats (dedicated to instructional coaching techniques for all educators) which I co-moderate and a moderator of #NYedchat; the voice of New York educators. In the PLN blogging challenge you get to answer some questions, pose some questions and shout out to the bloggers you want to welcome to the challenge. Here goes, Vicki. List 11 bloggers. They should be bloggers you believe deserve a little recognition and a little blogging love! 1. When I was young, I dreamed of being a novelist, wrote short stories and was founding editor of my school’s newspaper and literary magazine. 2. My daughter, a senior in high school, is planning on majoring in elementary education in college and dreams of being an elementary school teacher. She will be at Drexel University next year. I am incredibly proud! 3. I used to say I would NEVER have a dog; yet my two children succeeded in convincing me and my husband and now we have two – a cockapoo named Oliver and a jack russell terrier named Max. I love them both and am so glad they are part of our family. We also have a parakeet named Cielito. 4. I earned a Black Belt in Tae Kwon Do, and although I am not currently training I am coordinating a Science and Social Action Academy at my school through which we train students in martial arts therapeutic techniques to assist peers struggling with illness and disability. 5. I enjoy animated children’s movies and although my own children are teenagers, I still unabashedly watch when I can. 6. I am a co-moderator of #educoach with my dear friends (who I have not yet met face to face) Kathy Perret and Jessica Johnson. Kathy, Jessica, and I are currently writing a book together tentatively titled, “Putting on the Coach’s Hat: How School Leaders Can utilize Instructional Coaching Techniques to Support Teacher Growth”. 7. Each day, at least several times a day, I try to remember to pause and consider things small and large for which I am grateful. 8. I love those few days of the year when I don’t get out of my pajamas and without guilt allow myself to do as little as possible. 9. 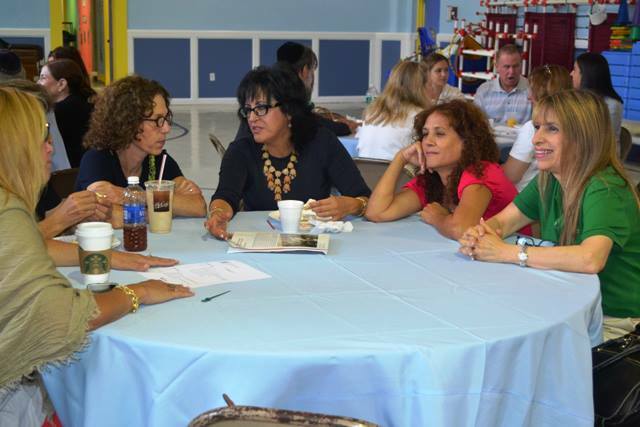 I am enjoying my first year as Head of School at The Solomon Schechter School of Queens, and am appreciative of the many strengths in the school and community on which to build. 10. It is my 17th year as a school educational leader leader (associate principal, principal, Head of School). 11. I am awed by the dedication and commitment of classroom teachers and honored to be in a position to support teachers in the sacred work they do for our children. 1. What is your favorite song? List song and artist. Someday by Rob Thomas – My daughter introduced me to the song during a challenging time in my life and it is a song that fills me with hope during difficult moments. 2. What educhat do you recommend to follow. List no more than 3. #educoach, a chat I co-moderate, attacts some of the most positive, kind, encouraging people I have ever had the privilege to know. Dedicated to supporting one another to help others in our schools using instructional coaching techniques, #educoach chats and conversations leave me feeling energized and inspired. 3. Share your thoughts on education reform in the USA. I worry about the term “education reform”. I prefer to strive constantly toward enhancing quality of learning and community in our classrooms, beginning with building on positives and successes. So many of our classroom teachers are doing so much that is right. Learning from what works and adapting from those successes to meet the needs of individual learners can propel us forward. There will not be a “one size fits all” for students, for teachers, or for schools. We will benefit from many additional respectful, job-embedded supports and professional learning opportunities enabling our teachers to build on their strengths, stretch themselves in areas more challenging, reflect, collaborate, and continue to learn and to grow throughout their careers. 4. What does it mean to be a Lead Learner? 5. What makes you get up in the morning and go to work other than a paycheck? I am blessed to be in a position in which I can make a positive impact in the lives of children, primarily by supporting their teachers to build on their own strengths, grow, thrive, and improve the quality of learning and community in our classrooms. 6. How do you stretch yourself to be the best of the best? 7. How can schools help with poverty in our communities? Perhaps the most significant way schools can help with poverty in our communities is preparing our children with the commitments, habits, and skills to make a positive impact when they become adults. We can help in some ways more immediately, through offering a range of services in our communities with our children and parents as volunteers as well as recipients when appropriate, yet we can potentially have an even greater impact on preparing our children to help with poverty in the communties they will inherit as adults. 8. What should each teacher or administrator know before they start their new job? Before starting a new job each educator should know the mission of the school and/or community she or he is joining, as well as what current members of the community view as strengths of the school or community on which to build. 9. How do we infuse technology into our school? Offer teachers support and focus, not primarily on the technology, but upon the learning. Among my first decisions as Head of School this year was to hire an educational technology coach and was very blessed to be able to recruit Rebecca Penina Simon (yes, we met on twitter). Our approach has been to work with those who want to try technology to enhance learning, offer support before expectation, and celebrate successes small and large. In the few months since Rebecca has been in our school we have become a google apps for education school, implemented a new educational technology curriculum (including strands in digital citizenship, digital storytelling, programming, office skills, research, and basic technology tools and skills), ordered chromebooks and iPads for use in classrooms and are beginning deployment, set up a blended learning pilot in some of our classes (first grade, one fourth grade class, fifth grade, and seventh grade), and organized a regional edcamp style conference on use of educational technology and social media to enhance the quality of learning in our schools. 10. How do we infuse Social Media into our schools? Share with teachers, parents, and students the benefits of connecting with others in order to learn. Create valuable opportunities to use social media and celebrate even the small steps forward. 11. What is your eduwin of the week? 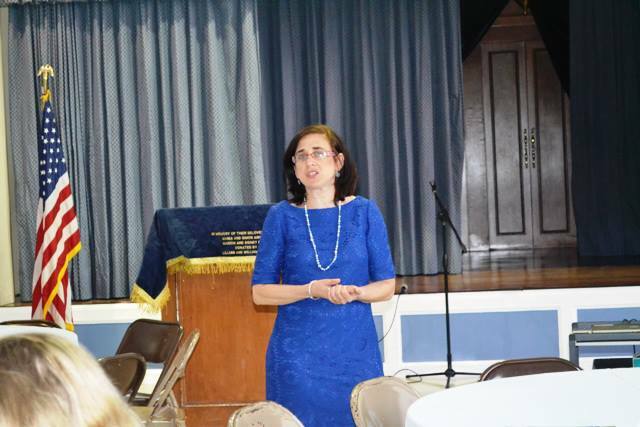 My eduwin of the week (or rather last week) was organizing an educational technology and social media to enhance learning edcamp style conference for educators in Jewish day schools in the greater New York area. My eduwin of this vacation week is slowing down and spending meaningful time with family. 1. When you were young and people asked what you wanted to be when you grow up, what did you answer? 2. What is one piece of advice you have to offer a first year teacher? 3. What is one piece of advice you have to offer principals? 4. How do you like to spend time off from work? 5. What is your most important professional priority in the coming month? 7. If you could learn anything new (time, effort, practicality, and difficulty aside) what would you want to learn? 9. What is a goal you have for yourself in the coming year? 10. Who do you admire? 11. What are you currently celebrating? Thanks for the challenge, Viki! And thanks to all in my PLN for supporting me to learn, to wonder, to imagine, and to strive. Best wishes for a joyous, healthy, and meaningful New Year! The question we most commonly ask is the “what” question-what subjects shall we teach? When the conversation goes a bit deeper, we ask the “how” question-what methods and techniques are required to teach well? Occasionally, when it goes deeper still, we ask the “why” question-for what purpose and to what ends do we teach? But seldom, if ever, do we ask the “who” question-who is the self that teaches? How does the quality of my selfhood form-or deform-the way I relate to my students, my subject, my colleagues, my world? How can educational institutions sustain and deepen the selfhood from which good teaching comes? Beginning my position as a new Head of School, I opened our first full staff professional learning session with the above quote from educator Parker Palmer. Determined to shift from my voice to our voices as quickly as possible, I moved almost immediately to a learning activity modified from one Palmer describes later in his book. Imagine a moment when everything was going right for you as a teacher; when your teaching was so good you felt you were born to teach, and you knew you were making a difference for students. The happy social buzz of first day greetings, which had begun shortly before our learning session as we arrived for a welcome breakfast, continued. The ebullient, celebratory mood of greeting friends and colleagues after a summer apart gently moved deeper, broaching seldom asked questions about qualities of teachers that lie at the heart of learning; transcending curriculum, instruction, and assessment. After a short time, I invited teachers and staff who wanted to do so to share with the whole group; acknowledging teachers’ humility and reluctance to speak in a manner that might feel like boasting. The stories inspired. Some were about individual students’ triumphs in overcoming challenge or adversity; some about entire classes making remarkable progress; and others about a key attribute of a teacher that positively impacted students year after year. We applauded each and every speaker, beginning our year with appreciation. We then moved just a bit deeper as Parker Palmer encourages us to do. I asked teachers to focus, not on their own celebratory stories, but on those of their colleagues, identifying the gifts, the personal strengths and qualities within their colleagues, that bring success. Colleagues talked about care, the ability to listen, patience, perseverance in the face of challenge, and grounding in enduring values. They spoke, meaningfully and thoughtfully, not about skills or specific knowledge, but rather about qualities that enable teachers to connect and build relationships with students. Intuitively, teachers reached beyond themselves, emphasizing the need to understand our students, equating greatness in teaching to connection with students; as individuals, as a class, and as a school-wide community of learners. As we concluded the session, I shared with teachers my commitment to being present in classrooms regularly, not to judge, but to engage, learn, appreciate, and support. In time, I plan to offer ongoing non-judgemental feedback to prompt teacher reflection. Yet in the beginning, as teachers at my new school and I get to know each other and develop trusting relationships, I choose to refrain from offering feedback and instead to focus almost exclusively on presence and heartfelt appreciation. As the Head of School of an independent school, in which the format for teacher evaluation is not mandated by a district or the state, I have that freedom. I can take some time, engage with teachers, and collaboratively design a feedback framework emphasizing growth. In the past I interpreted, or more likely misinterpreted, educational research as indicating that paradoxically praise is judgmental and disrespectful of teachers’ and students’ abilities to reflect on their own learning; successes and mistakes alike. Teachers opened my eyes; sharing the pain of giving heart and soul and only infrequently, if at all, receiving appreciation from supervisors. I have heard from teachers about how disconcerting it is to feel as if one is “on stage” as a supervisor, even a caring supervisor, observes. Trained to focus on learning from mistakes, teachers often, almost obsessively, analyze what went wrong in a lesson,while glossing over what went right. We frequently see ourselves through intensely critical lenses and imagine those observing us do as well. We too often neglect to celebrate our successes, inadvertently missing out on the potential to build from our strengths. As Parker Palmer boldly asserts, it takes courage to teach. That courage deserves appreciation. And so, I reach out to teachers in my own school, and to colleagues more broadly wondering about ways of structuring appreciative, reflective exploration of teaching practice. If you were able to structure a system of feedback for professionals to promote growth, in lieu of formal evaluation, what process would you use? What components would you include? What would be helpful for you? Today is the first anniversary of Sharing Our Blessings. I celebrated, in the past several days, in a way I could not have imagined possible when I wrote my first post: Introduction of a Reluctant Blogger. I celebrated new educational bloggers. I remember my own excitement and gratitude when Edna Sackson (whatedsaid.wordpress.com, @whatedsaid) and Cristina Milos(ateacherswonderings.posterous.com, @surreallyno) commented on my first post. I didn’t imagine that the just one year in the future I would be welcoming new bloggers, not as an “expert” but rather as an accessible role model and guide, providing encouragement, support, and gratitude for the learning and insights these educators are sharing. Sunday I commented on new blogs by Joey Sagel(principaljoey.wordpress.com – What Keeps Your Engine Running, @principaljoey) and Rabbi Michael Bitton – Rabbi Mike’s Edtech Blog – How To Blog (rabbimichaelbitton.blogspot.com, @RabbiMBitton). In addition, I’ve had the great pleasure of seeing a good number of educators, many of whom at least do not yet blog, reflect recently on blogging on a Community of Practice I am privileged to facilitate YU2.0 (yu20.org). These include: Welcome To Blogging by Chagit Alpert, Research Projects And Blogging by Molly Hazan, Blogging Concerns by Miriam Strulowicz, The Power Of Blogging – It’s Much More Than The New Persuasive Essay by Rebbeca Penina Simon, and Not All Who Could Should Blog by Rabbi Pollock. I love engaging and learning with the skeptics as well as the committed bloggers. Why do I blog? 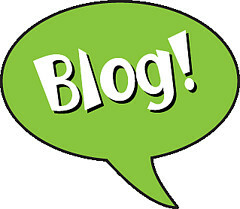 I blog because I long to learn with others, contributing what I can, reflecting in order to stretch my thinking. Happy Birthday Sharing Our Blessings! Looking forward to the learning the coming year can bring! I wonder if . . . I noticed . . .
How might . . . Entering classrooms as a group of professional learners, with eyes and ears and minds wide open, we sought insight on two carefully selected foci: student engagement and differentiated instruction. We strove to witness student engagement via levels of participation, attentiveness, observable indicators of a commitment to learning, and focus on task. We looked to recognize differentiated instruction via the range and levels of learning activities and supports available, groupings of students both with the teacher and with peers and independent learning experiences in which students participate. Our learning walk included not only observations, but also interactions. As possible we spoke with students and teachers in the classrooms we visited, asking them to reflect on their experiences. To students we queried, “How do you know if you do good work in this class?” “If you need help, where can you go?” We refined our questions in response to the specific learning activities we witnessed, asking students to explain their learning and to share and discuss work in their portfolios and notebooks. To teachers we asked questions to help us place our snapshot view of learning into the bigger story of ongoing learning in the classroom. While we focused our attention primarily on the students, the learning environment was also part of our reflection. We “walked the walls” of the classrooms and hallways to see how visuals speak to learning: what kinds of charts and other visual aides are present and what models of good work are available to students. We explored the physical arrangement of the classroom, wondering about how the organization of space facilitates learning. We examined classroom resources such as libraries, computers and interactive whiteboards, considering whether the arrangement of books facilitates good use by students and how computers and the class interactive whiteboard are used to promote learning. We compared resources from classroom to classroom, pondering whether adequate resources are equally accessible to all students. 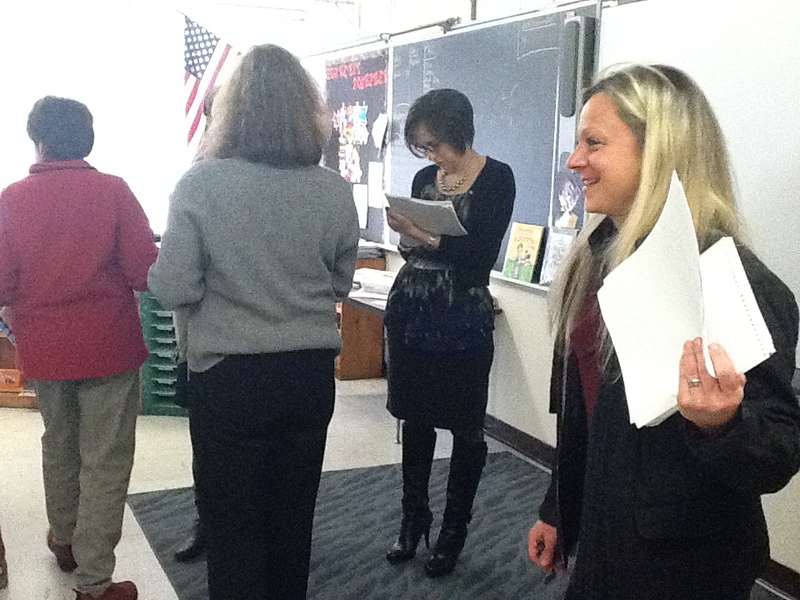 After each visit, potent and meaningful, came the heart of the learning walk experience: the hallway huddle. We gathered outside the classroom and crafted thought-provoking, reflective questions and wonderings, aimed not to offer feedback to those visited, but to spark walkers’ thinking about our own teaching and our own students’ learning. Some examples of questions and wonderings included: I wonder how the teachers’ assessment of student learning will be used to guide further learning. I wonder if students in my own class could answer questions about the purpose of instruction. What are alternative ways in which the interactive whiteboard could have been utilized? What if a learning strategist had not been present as a push-in classroom resource during this particular lesson? I noticed lots of interaction between students and teachers and between students and peers. I noticed the teacher asking “what do you think?” questions. How might seating arrangements impact how students seek assistance from each other? How might different layouts of student activity sheets support learning? As a principal, I listened, awe-struck by our teachers’ insights and their openness to reflection and learning. As if looking into a mirror, rather than observing a peers’ classroom, our wonderings and questions reflected not sage guidance we could offer others, but thoughtful musings on how we could improve our own practice. At first I was quiet, too quiet, taking in classroom experiences through the lens of our teachers, amazed by how much more I can absorb when buttressed by the perspectives of teachers than I can on my own solitary daily classroom walkthroughs. Our courageous faculty leader, Brandi Minchillo (@MrsMinchillo) reminded me of my role as a participant, gently pointing out to both our Assistant Principal, Ilanit Cury-Hoory (@hoory1) and me that we are allowed to share. I smiled, grateful for the reminder that at times the silence of a leader is welcome and at other times it can be distancing. I jumped into the conversation as an equal, not as a supervisor, in the process gaining understanding into how I can view classrooms more reflectively along with more thoughtful ways I can phrase and communicate what I notice and wonder about on my walkthroughs. 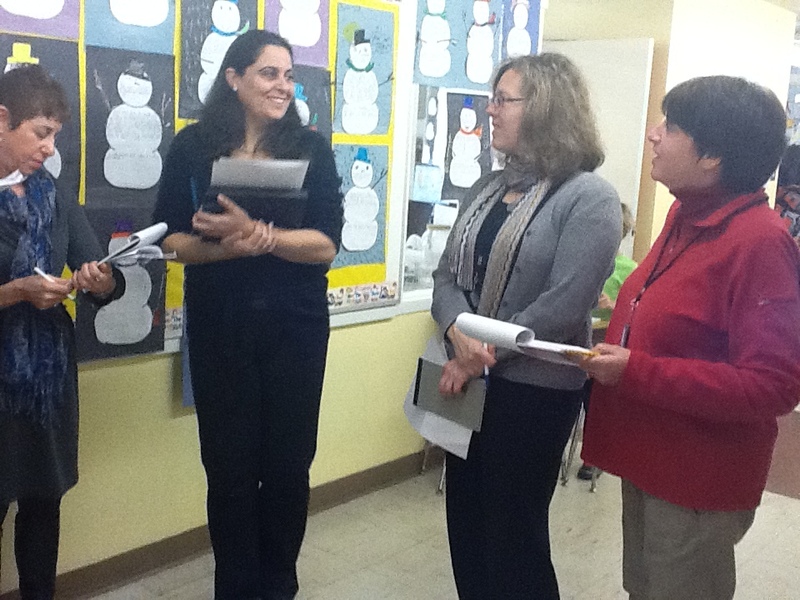 The learning walk ended in my office with a debriefing at which we discussed take-aways and insights. We concurred that we were surprised by how much one can learn from even a five minute visit to a classroom. We remarked on how important it is to utilize prompts to formulate nonjudgmental questions and wonderings. We noted that the learning walk supported us to consider what we can change in our own practice in order to enhance learning. We recognized how enlightening it is to observe classes at each grade level, K-5. The mandate to be nonjudgmental aside, we indulged ourselves a bit, allowing for celebration of learning occurring in our school. All noted how impressed we are by ways teachers we visited engage students and provide differentiated learning experiences. Perhaps most significant for us was our awareness that in every single classroom we visited, we saw evidence of students becoming independent learners, one of the primary school-wide goals this year associated with our reinvigorated approach to literacy learning. To our delight, we witnessed evidence of independent learning regardless of whether or not we were observing a literacy lesson. We observed teachers transferring pedagogic skill from one curricular area to learning across the disciplines. We had prepared for the learning walk for months, explaining to teachers in both spoken and written format what would happen. Still, the reality of eight adults entering a classroom can be overwhelming and walkers expressed empathy for those observed, demonstrating sensitivity to the courage required to open the doors of one’s classroom to adult visitors. We agreed that although we were not giving feedback, teachers deserve a thank you e-mail from me. There are seven more learning walks scheduled throughout the academic year and we plan for each teacher to have the opportunity to be a walker and for each class to be visited. As a start, we visited teachers we perceived would be among the most comfortable and selected as walkers those who had eagerly volunteered. With positive feedback from our learning walk pioneers, we hope our faculty will be reassured and enthusiastic. Our aim in implementing learning walks is to support our efforts at nurturing a self-reflective collaborative culture, breaking down the isolation teachers can experience. Learning walks are one important component of our efforts to transform our school into a learning community in which we focus relentlessly on improving student learning and in which we do so together. My almost sixteen year old daughter and I recently shared a good laugh (deservedly at my expense) remembering the time I told her she was never ever to blog. It must have been about five years ago, which now seems an eternity. Listening to nervous naysayers rather than investigating and learning for myself, I perceived blogs to be personal diaries inappropriately and self-indulgently shared with the world. I openly confess; interacting on the internet frightened me. Web 2.0 was a term I only vaguely understood and I had not yet heard of a “digital footprint” or “digital citizenship”. As an educator and a parent, I was warned by wise experts in the field to teach my students and my children Internet safety. Dutifully, I brought in speakers about internet safety to school. Like so many parents, when I allowed my daughter to have a Facebook page I reviewed with her my expectations, which included that she never ever accept a friend request from anybody she hadn’t actually met. Be careful, I warned. The advice was heartfelt and appropriate. It’s just that I hadn’t yet recognized my responsibility also to support her, along with my son and my students, to be creative and collaborative. Sharing, albeit with appropriate caution, is vital. In time, I realized how misinformed I had been about blogging and social media, developing the habit of reading the blogs of educational thinkers from around the globe on a daily basis. I can no longer imagine professional life without interactions with a wide network of individuals writing from the trenches – principals, teachers, instructional coaches, parents and even students. These reflective musings have become a blessing to me, as I have learned from the successes and also from the mistakes of others willing to share. And so, albeit a reluctant blogger intially, I join in conversation, hoping to reflect, struggle, dream and engage with others exploring ways to nurture our children’s learning and support our children in building character.